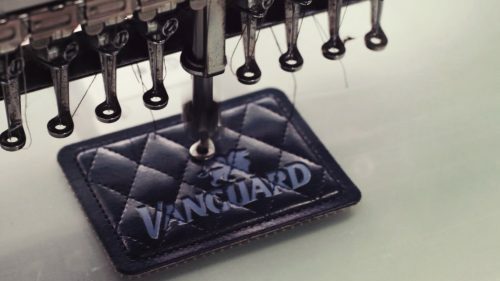 Vanguard is a lifestyle jeans brand with an authentic look and feel for the modern, sophisticated man. 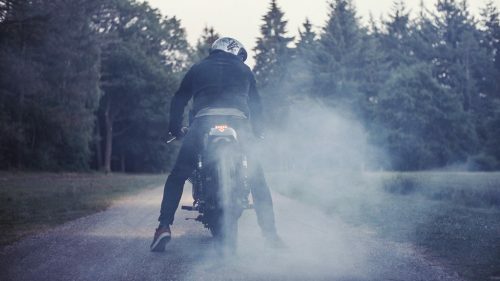 The Vanguard brand targets men who appreciate beauty and outstanding design, which they find in classic motorcycles, stylish clothing and all things made with love and attention. 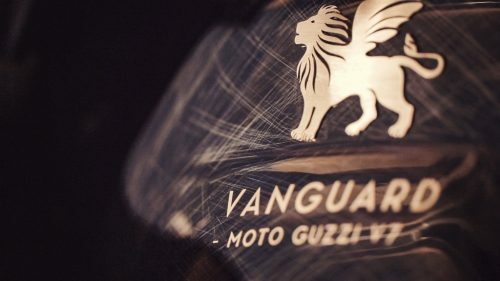 Vanguard has a close relationship with Moto Guzzi and uses the combination of Italian design and the American spirit of freedom as a source of inspiration. 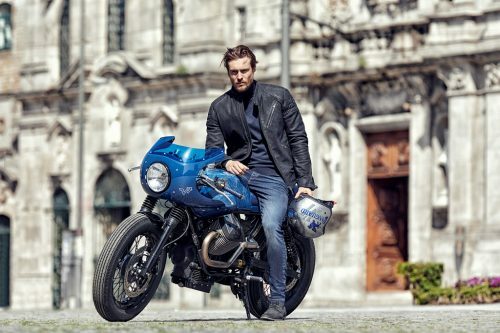 The Vanguard V-series jeans collection consists of several motorcycle-inspired models, each made with craftsmanship, love and attention to detail. All Vanguard V-series jeans are made of comfortable stretch denim and come in numerous, stylish washes. 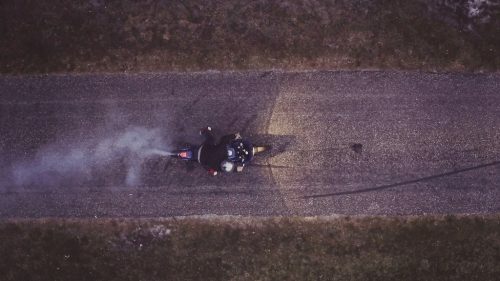 The V8 Racer jeans were introduced in the Summer of 2016; the V7 Rider jeans have been in the collection for a while. 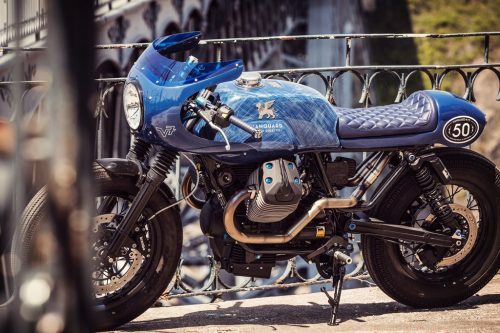 To celebrate the 50th anniversary of the Moto Guzzi V7, Vanguard developed a limited edition of the V7 Rider jeans. 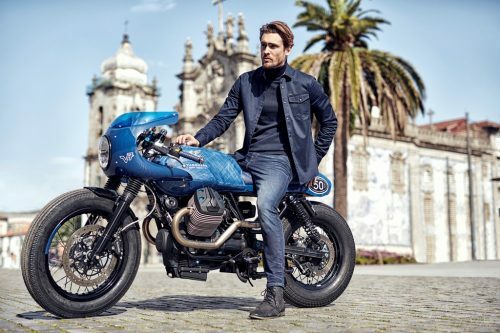 The jeans are called V7 Anniversary Jeans and they pay homage to the Moto Guzzi V7, which was introduced 50 years ago this year. 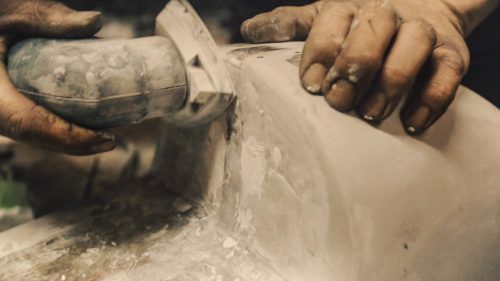 This machine formed the basis for the Vanguard V7 Custom. 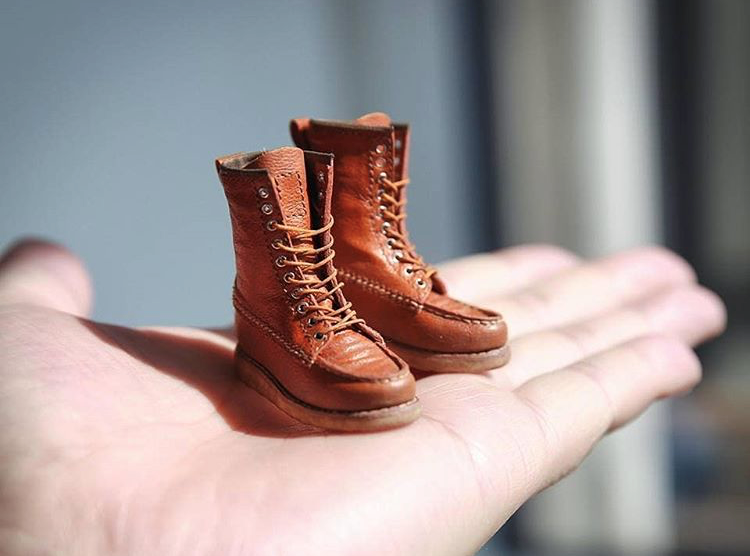 This unique custom was built in collaboration with Wrench Kings and features many details from the V7 Slim Rider Jeans. 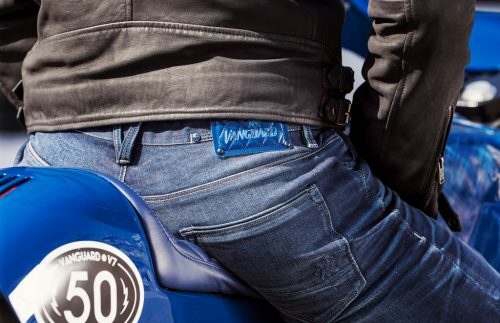 The limited edition Vanguard V7 Anniversary Jeans have the fit of the V7 Rider Jeans, but with a skinnier leg. 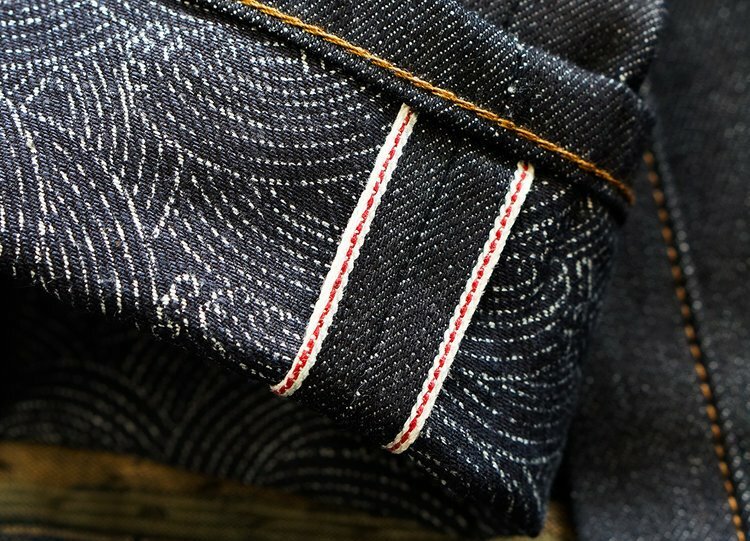 The jeans have a number of special blue features. 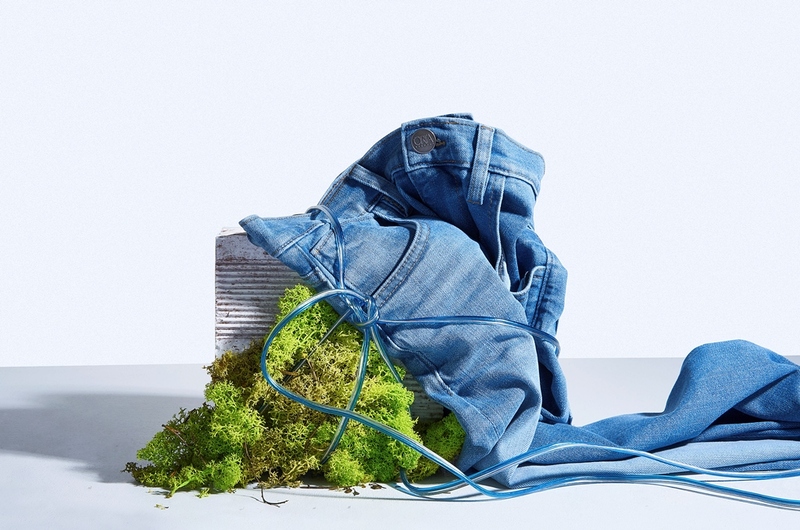 The denim is double dyed, resulting in an intense blue colour on the outside and a blue inside. 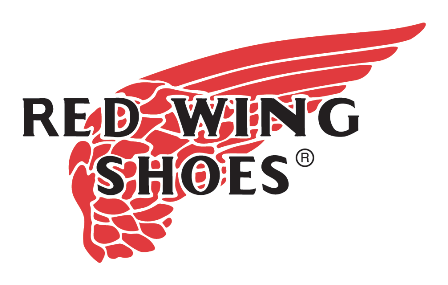 Furthermore, the buttons, rivets and embossed logo are in blue tones. 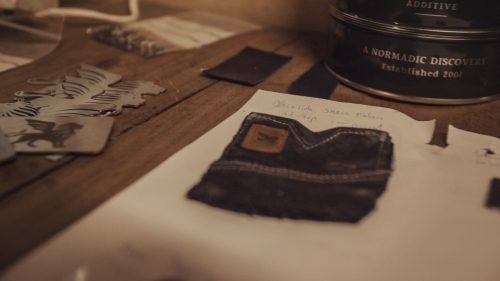 These jeans have several references in common with the custom bike. The waistband patch has the same quilted effect as the seat of the bike, and the pocket print has the design of the V7 custom. 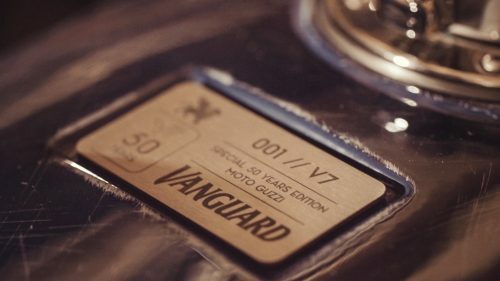 Extra special is that each pair of jeans purchased in one of the Vanguard stores will be packed in an oil can-shaped gift-box, featuring images of the Vanguard V7 Anniversary Bike. 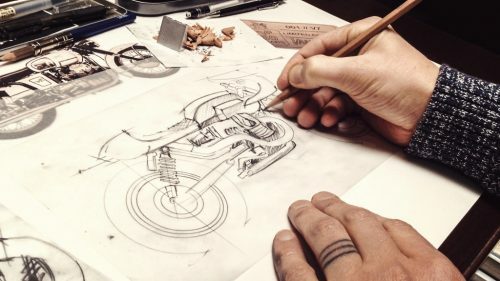 To celebrate the 50th anniversary of the Moto Guzzi V7, Vanguard is honouring the Italian brand by building the Vanguard Moto Guzzi V7 Custom. 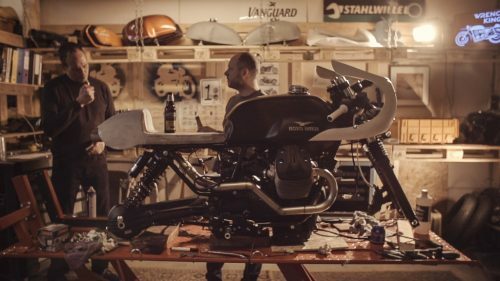 The machine is designed by Gannet Design of Switzerland, the same studio that designed the Vanguard Moto Guzzi V8 last year, which was built by Numbnut Motorcycles. 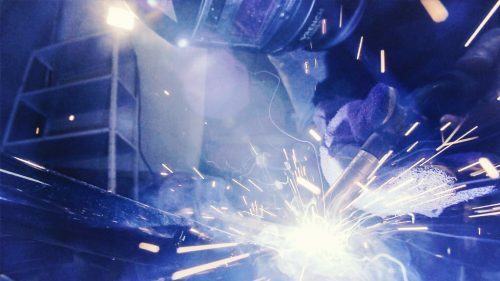 This time, the design was brought to life by the Wrench Kings of Bilthoven (NL). 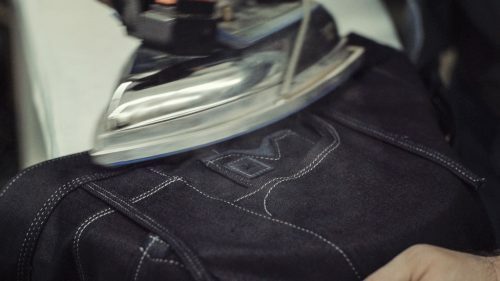 The machine features several references to Vanguard and the V7 Jeans, including the custom-painted tank with denim effect, the tail light with V-pattern and the embossed logo on the tank. The handmade seat is the same colour as the quilted back patch. 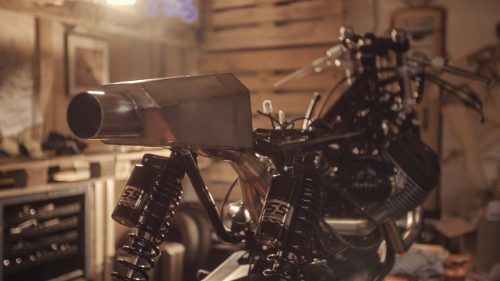 The bolts on the bike are the same colour as the jeans’ rivets and the bar-end blinkers have the Vanguard logo on their sides. 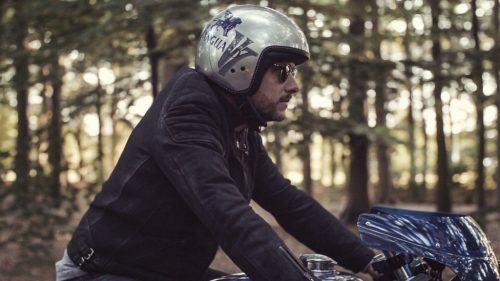 For the presentation of the V7 custom, pinstripe artist Martijn Krabman designed a one-off custom helmet with a design theme identical to that of the jeans and the bike.